We entered September with a bang: school for everyone except me, birthday celebrations, anniversary dinner (we ate here, it was incredible), and then we splurged on U2 tickets and saw the Joshua Tree tour (and they did play the Joshua Tree from start to finish and it was amazing) (also the poems they scrolled on giant screens before the show are worth reading) and then saw Maria Bamford the very next night (along with Jackie Kashian who was also hilarious) and then family visiting and then meet-the-teacher night and then scrubbing my house from top to bottom because summer made it embarrassingly dirty. There is still so much packed into the rest of this month I am actually looking forward to October, along with some cool fall breezes and falling leaves, long walks and even longer books. September started out rather chilly, but this past week we found ourselves in a major heat wave, so naturally I found myself in the kitchen making pies, puff pastry, and Danish dough. 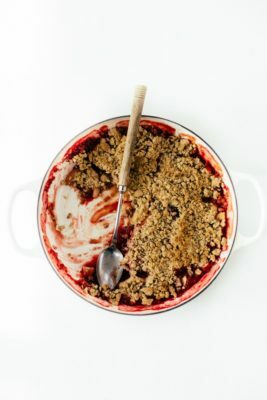 I have this odd desire to bake on extremely hot days, which doesn’t make much sense to me, but then again, I have the same desire on icy cold days, so maybe it’s just that I’m obsessed with baking. 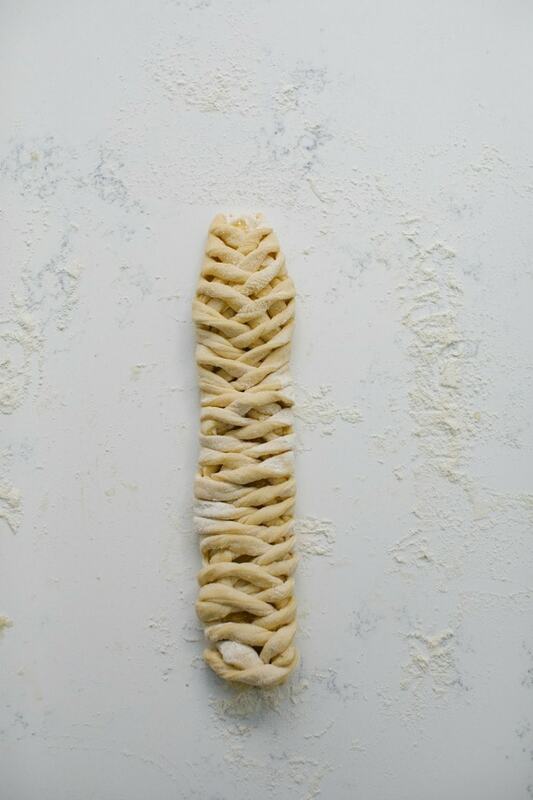 Whatever the reason, this Danish braid was made, and I’ve declared it my new favorite. The braid itself was inspired by Zoe Francois – she made this beautiful Raspberry braid with Bread in 5’s no-knead dough, and the second I saw it, I knew I had to try one with my Easy Danish Dough. It worked wonderfully, and I have a feeling any guests I have for the next 6 months will be served some variation of this. I’ve teamed up with Land O’Lakes for a few posts over the rest of the year. 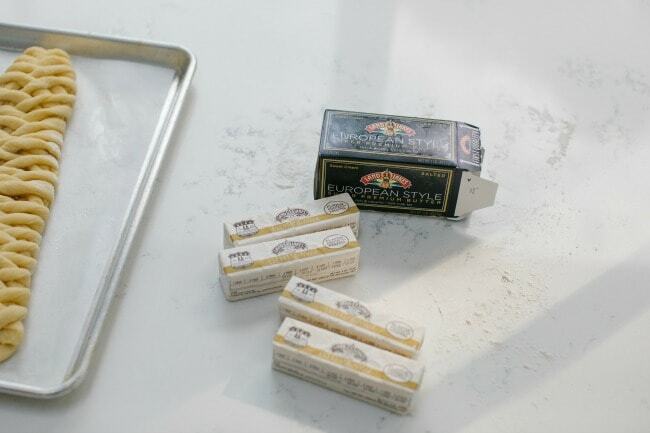 I’ve been a big fan of their butter for years; I love how my baked goods turn out with it, and as they are a Minnesota-based company, it seemed like a natural fit. 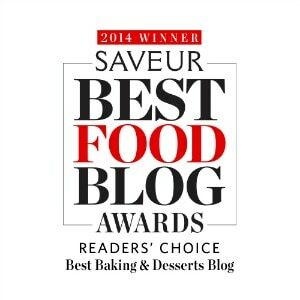 I use their butter in my baking, and find the flavor to be heads and shoulders above other grocery store brands. 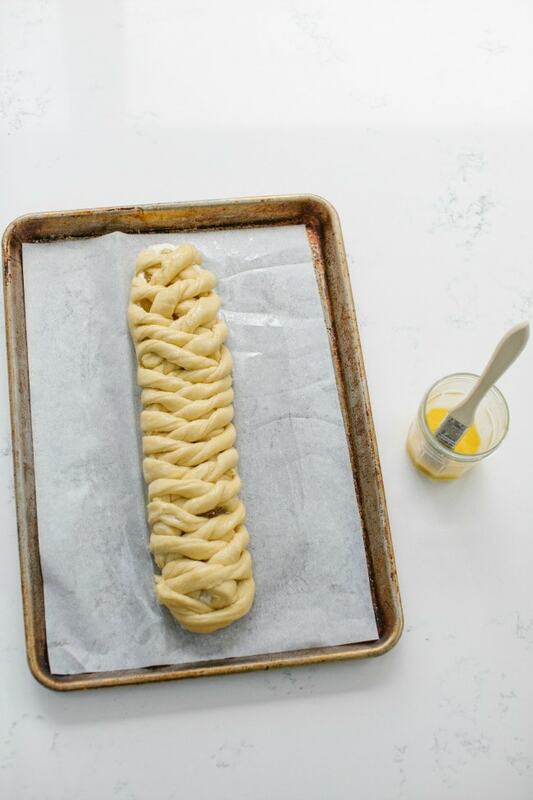 This Danish braid was made Land O Lakes® European Style Butter, and it turned out *fantastic*. The layers were perfectly flaky and each bite rang out with pure butter flavor. 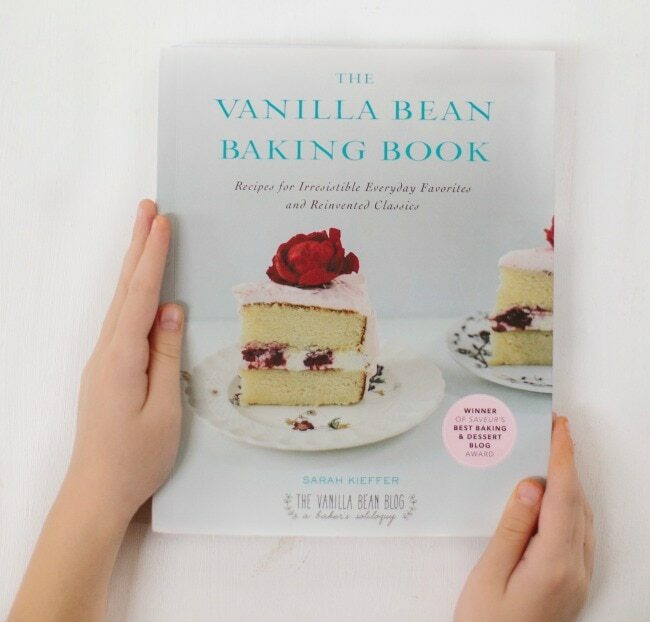 The Easy Danish Dough recipe is from my book, The Vanilla Bean Baking Book. In the bowl of a stand mixer fitted with a paddle, beat the cream cheese on medium speed until smooth. Scrape down the sides of the bowl and add the sugar, salt, vanilla, and 1/2 teaspoon of lemon juice and mix on low until completely combined. Taste the filling, and add a little more lemon juice if the flavor is dull. (The filling shouldn’t taste like lemon, but a little bit of lemon juice will add a bright note to the filling. When tasting, look for a bit of a zing in your mouth that doesn’t scream lemon.) Cover the filling and set aside until ready to use. In a medium bowl, whisk together the confectioner’s sugar, 2 tablespoons milk, vanilla, and salt (if using the creme fraiche, add here, too). Add more milk, 1 tablespoon at a time, to thin the icing to a preferred consistency. Add 1/4 teaspoon lemon juice, and taste for brightness (add more if needed, but again, you don’t want a lemon flavor here). Cut the Danish dough in two equal pieces. Roll the first piece of dough into a 10 x 14-inch rectangle, using enough flour so the dough doesn’t stick to the surface or the rolling pin. 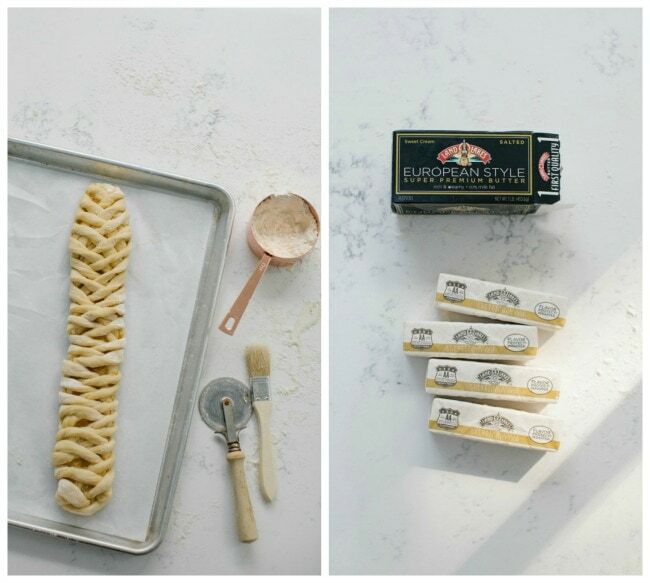 Transfer the piece of dough to a piece of parchment paper (this will make moving the braid much easier). Spread half of the cream cheese filling down the center of the dough, about 1 1/2 inches wide. Top the cream cheese with about 3/4 cup of the apple jelly. Carefully cut 1/2-inch thick strips of dough (a pastry cutter works best here) , doing your best to make the strips even and equal on both sides. Starting with the top two pieces, gently twist then cross the pieces over the top of the filling. Continue the same motion of twisting the pieces and crossing them all the way down the braid. When you get to end of the braid, tuck the loose ends underneath the braid (this way they won’t pop out when baking). Repeat with the second piece of dough. 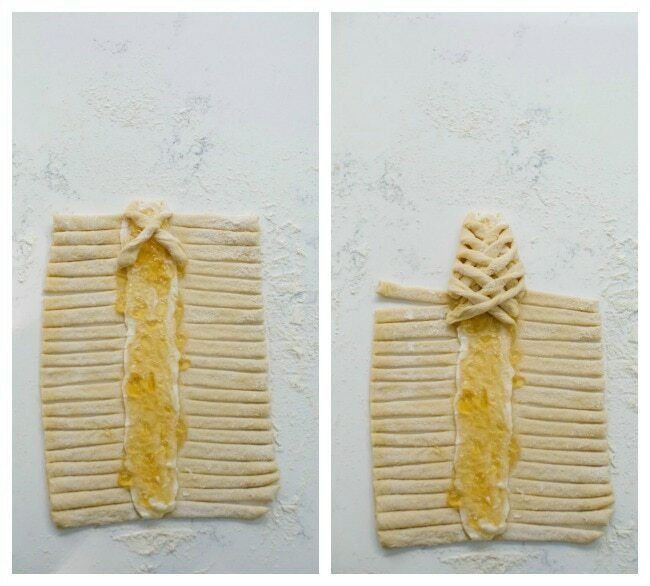 Move the braids (on the parchment) to baking sheets, and cover loosely with plastic wrap. Let the braid rise until puffy (similar to a marshmallow when pressed), about 1 1/2 hours. Adjust an oven rack to the lower middle position. Preheat the oven to 350F. 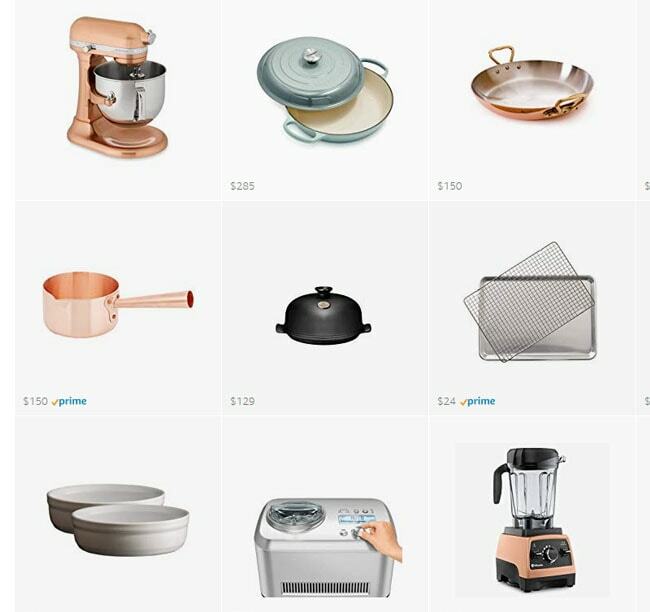 (I like to bake mine one at a time, but you could bake them together – adjust oven racks instead to upper and lower middle positions, then rotate sheets to opposite oven racks half way through baking. Lightly brush the braids with egg wash. Bake for 25-30 minutes, until golden brown. Transfer the baking sheets to a wire rack and let cool slightly. 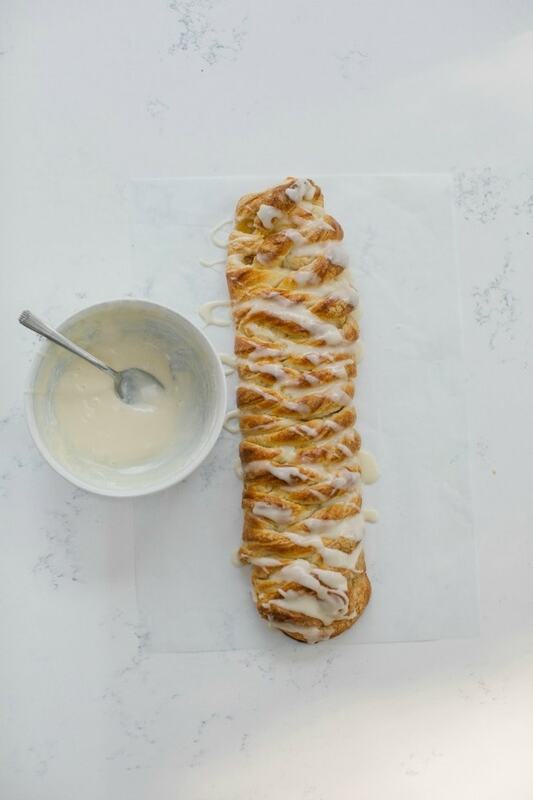 Drizzle the braids with the glaze. What a beauty of a danish. I want it! And your September sounds busy but wonderful. Wishing you smooth sailing into the cozy slower October evenings ahead, Sarah. I have lived in Denmark and my wife is Danish. They don’t know what cream cheese is in Denmark. Definitely not Danish. Now if you substituted that for marzipan, then you would be in the ballpark of true vinnebrod. baking is for any time! 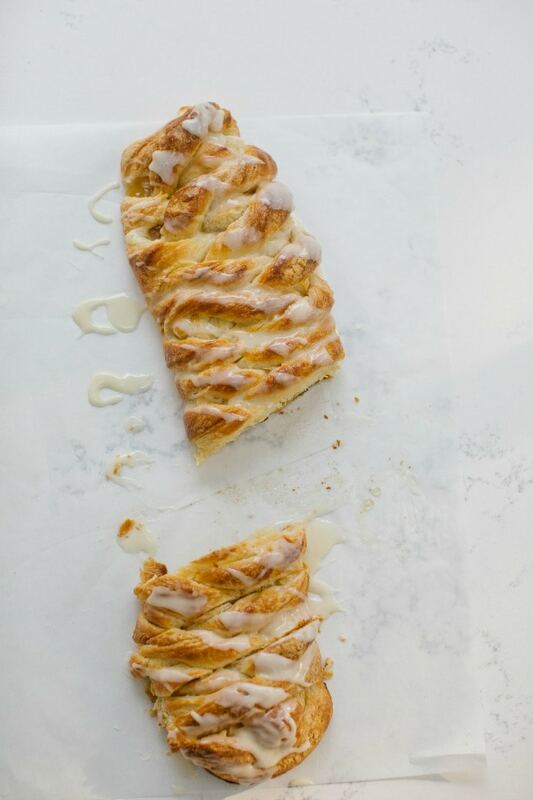 this looks delicious & i haven’t made a danish in years, time to change that! I’ve learned to love danish braids so much! They look so hard, but aren’t and just make everything so lovely and gorgeous 🙂 Hope you and your littles have a great start to the school year! 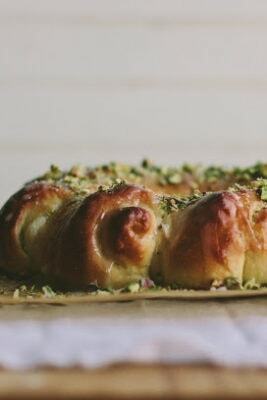 really nice recipe and very new to me, have never “braided” pastry, so thank you for laying out the technique with the photos! Danish pastry on a sweltering day?! Impressive. As are those braids! Just wish I had a slice now. Enjoy the arrival of autumn! A perfect weekend project for fall. 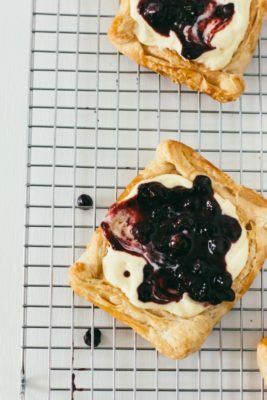 I have never made danish before, but after seeing these beautiful photos, I can’t wait to give it a try. Yes! 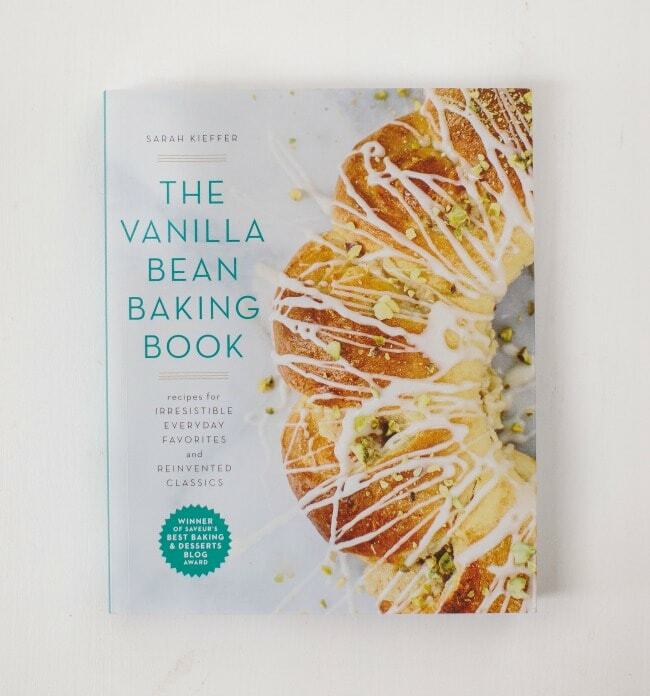 What is it about hot days that make you want to bake? I do it too, then regret that I’ve heated up the house even more. Thank goodness you did because this danish is too good to pass up! 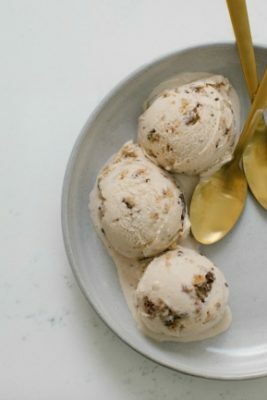 Amazing recipe.I really like it.